on Ravna Gora, in Serbia. difficult days of the fight for freedom." in the middle row, with Serbs and American airmen. Arthur Jibilian is in the front row between them. December 1944. 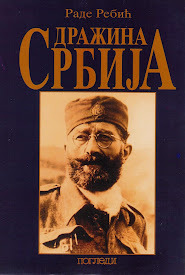 My first direct contact with Arthur “Jibby” Jibilian was sometime at the end of 2002, when he sent in a donation for a book my father and I were writing that we were going to publish and distribute on Ravna Gora, Serbia in May of 2003. 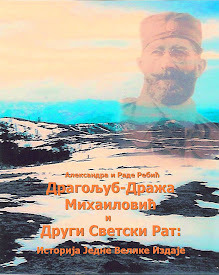 I knew of him, of course, but we didn’t have contact with each other that I remember until we received his letter with his best wishes for the success of “Dragoljub-Draza Mihailovich and the Second World War – The History of a Great Betrayal.” The book was being written and published in the Serbian Cyrillic language, and Arthur Jibilian would not be able to read it, but still, he wanted to support the effort. We included his name as a donator in the book, and from that point on, I kept up with his life through correspondence with Sam Subotich of Michigan, a dedicated young man who adored “Uncle Arthur” and who graciously shared his updates with those of us who understood and appreciated exactly who “Uncle Arthur” was. Although everyone seemed to refer to Arthur Jibilian as “Jibby”, and never did I hear him referred to as “Mr. Jibilian”, Sam and I would always refer to him as “Arthur”. Then, in September of 2004, Arthur Jibilian and I would reconnect directly via a request made by Sandi Radoja of the American Srbobran, to whom I will be forever grateful. 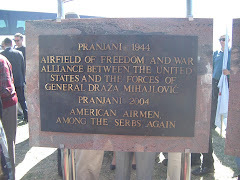 One day, late that September, Sandi Radoja sent me an e-mail asking if I would be interested in writing up a story on Arthur’s trip to Serbia earlier that month for the dedication of the Halyard Mission memorial plaques that were erected in Pranjani to commemorate the great rescues of American and Allied airmen in Serbia in 1944. Well, there was no question about being interested. Without hesitating, I immediately contacted Arthur directly and he responded warmly and graciously, two traits, I was to learn, that were an integral part of his personality. I remember my first impression being “such a nice man!” He was 81 years old and he’d just been to Serbia for the first time in 60 years to honor “Halyard” and he was eager to tell his story. His mind was sharp, his memory intact, and his enthusiasm and energy would make him the object of envy of men half his age. Extraordinary, when you think about it, given his age and all that he had been through. He gave true meaning to the adage “young at heart”. As we proceeded to collaborate on the story of his visit to Serbia, I would find out a lot of things about Arthur Jibilian, all of which made me increasingly aware that this new friend was to be a very special friend, indeed. In telling the story of who Arthur Jibilian was, his trip to Serbia in September of 2004 is the perfect place to start. He was the last of them - the last of the living OSS agents of the Halyard Mission team. 81 years old, with vivid memories on his mind and gratitude in his heart, Arthur “Jibby” Jibilian, the ‘radioman’, made the milestone journey back to that far away place where he had been a young man in a big war. On September 12, 2004 Arthur Jibilian would once again find himself in the village of Pranjani, Serbia, a plateau 55 miles south of Belgrade, this time for the celebration of the 60th anniversary of the amazing thing that took place there. Two eternal marble plaques, one engraved in Serbian, one in English, were being officially dedicated, marking an event that remained a defining moment in the lives of all those who participated. Arthur Jibilian had lived to see it happen. Of those still living who had been invited for the historic commemoration, only a few managed to make the trip. Robert Wilson, 79, and Clare Musgrove were two of the rescued American airmen who made it. George Vujnovich, the OSS Chief of Operations in Bari, Italy and George Knezevich, his friend, were also present. Others were not able to make it, and too many of the others did not live to see this day, among them the late Richard L. Felman. This commemoration was a milestone in ways the radioman from Ohio, a World War II veteran, could not have conceived of. 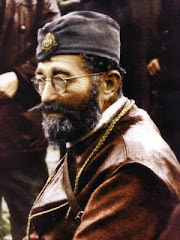 The Serbian press would report heavily about the event in Pranjani, and the legacy of General Mihailovich would be brought to the forefront, if only for a few days, in the homeland that had turned its back on him, a homeland that he had served so valiantly and loyally, despite knowing that his fate had already been sealed. 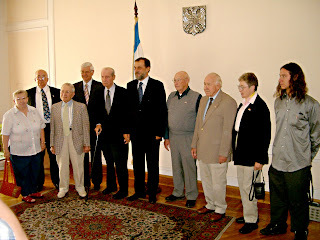 On this September day in 2004, Belgrade officials, American diplomats, Serbian war veterans and civilians, and grateful American airmen and Halyard Mission heroes would give the General his day in the light. dedicate the Halyard Mission plaques on Pranjani. Robert Wilson, Sharon Wilson, and George Vujnovich. Born on April 30, 1923, in Cleveland, Ohio and raised in Toledo by his cousins Sarkis (Sam) and Oksana (Agnes) Jibilian, Arthur was 19 years old when he was drafted into the Navy on March 15, 1943. He had tried to voluntarily enlist when Japan attacked Pearl Harbor two years earlier when he was only 17, but he missed one letter on the eye exam and was advised to come back at a later time. He stayed home to care for his cousin who’d been diagnosed with lung cancer. It was shortly after his cousin passed away that Fate called for him to enter the war. 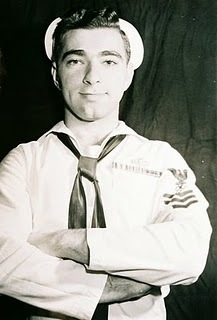 He began his training as a ‘Radioman’ in Boot Camp at Great Lakes Naval Training Station in North Chicago, Illinois. “He wanted to talk to all those who spoke a foreign language. I spoke Armenian, so I was interviewed by him. In my case, Armenian wasn’t particularly important, but he said that OSS needed radio operators desperately. Radio operators, usually in conjunction with a “team”, would parachute behind enemy lines and relay information regarding troop movements and activities. They might also blow up bridges and railroad tracks and harass the Germans in any way possible. He pointed out that the mission(s) were voluntary and extremely dangerous. He was very up-front about everything. I told him that I was interested and volunteered. (After all, I was more expendable as I had no immediate family and I might, just possibly, be more valuable with OSS than if I were on a ship). Just prior to taking my Radioman exam, I received orders from OSS to report to Washington, DC. I was placed on ‘detached temporary duty with the Office of Strategic Services (OSS)’. They taught me to code and decode messages and operate their three-piece radio consisting of a transmitter, receiver and power pack. It all fit into a small suitcase so that one could ‘mingle in a crowd’ carrying it, looking like a refugee or traveler. 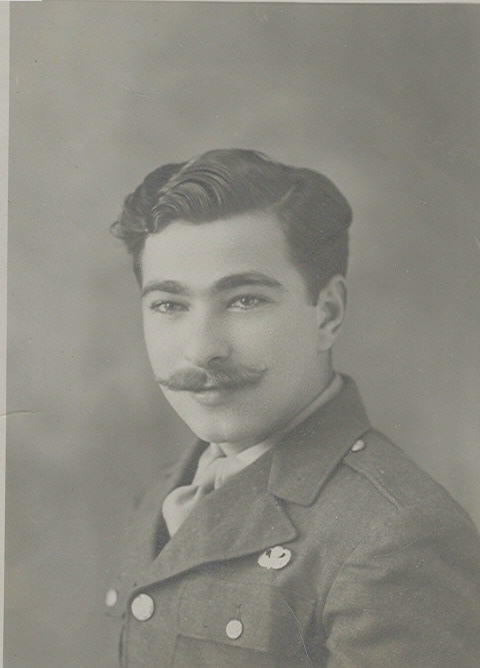 I was informed that a Lt. Eli Popovich would be interviewing radio operators for a mission into Yugoslavia. Col. Lynn Farish and Lt. Popovich were going into Yugoslavia and needed a radio operator. Col. Farish had been in Yugo before but had not had a radio operator, being dependent of the British Missions to relay his reports. This was not acceptable to him, or to OSS. I was thrilled when Eli (we were quite informal in OSS) selected me. The Germans were relentless. Sending a contingent after the mission, they kept up the pursuit for five days and six nights. This was a week that Arthur Jibilian would never forget. “We were in summer khakis and as we climbed the mountain trails, the air became colder and colder. We ran into snow, sometimes sinking so deep that we had to help each other lift our feet out of the drifts. When we stopped for a 10 minute break, we were soaked with sweat and the clothes literally froze to our bodies. When we started to “pokret” (march), we quickly generated enough heat to melt the ice. This first mission would last only two months, but according to Jibilian, it was the ‘toughest two months, mentally and physically, of his life’. Over the course of it they would learn that some fallen airmen who were hiding from the Germans were being protected by the Serbs. On their way out of Yugoslavia this first time, Arthur’s group managed to pick up about a dozen of the airmen who had been shot down while bombing the oil fields of Ploesti, Romania and brought them safely out of the country. Jibilian was awarded the Silver Star for his participation in this mission, coded “Columbia”, and treasured the recognition. He also remembers the atmosphere that pervaded this mission to Partisan territory, and not all of the tension was created by the German enemy surrounding them. 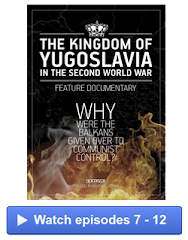 The atmosphere that was prevalent in Partisan territory in Yugoslavia would become especially evident in retrospect after a future mission sent the Americans back into Yugoslavia, but this time it would be into Chetnik territory. 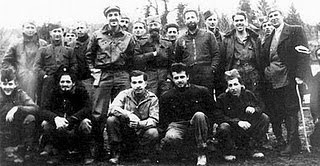 It wasn’t long after Arthur Jibilian’s first wartime ordeal that Colonel George Kraigher of the 15th Air Force contacted OSS to let them know that he’d gotten word that 50 American airmen were stranded in the Serbian village of Pranjani, Yugoslavia. Col. Kraigher had flown for Serbia in the First World War and was now the commander of the Air Crew Rescue Unit [ACRU] which was a Mediterranean Allied Air Force unit flying out of Brindisi, Italy, which was attached to the U.S. 15th Army Air Force. Thus, another mission was activated. This time it would be sent into Chetnik territory. The rescue operation, code-named “Halyard Mission”, would be composed of Captain George “Guv” Musulin, Lt. Mike Rajacich and Navy Radio Operator Arthur “Jibby” Jibilian. 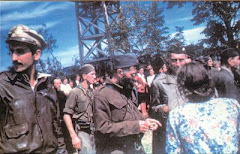 All they knew was that General Draza Mihailovich, leader of the Chetniks in Serbia, had kept these airmen safe while they waited to be rescued. They had been shot down while bombing the oil fields of Ploesti, an extremely valuable resource the Nazis were depended on, and the Germans were intent on capturing the Americans. After falling into Chetnik hands, the airmen had been fed and protected and taken care of and were now just waiting. All the while, however, the Germans continued their search for the fallen airmen and were out for the blood of those who were protecting them. Those in charge estimated that the mission established to rescue the Americans who had fallen behind enemy lines would take a short seven to ten days. How wrong they were. Unfortunately, political ‘concerns’ came into play. 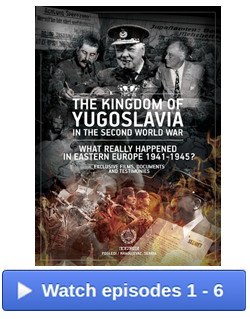 It must be remembered that this was all taking place after the Allies had made the decision to abandon General Draza Mihailovich in favor of Marshal Josip Broz Tito. False charges of collaboration with the Germans were leveled against Mihailovich to justify the Western Allies’ tragically misguided abandonment of their most loyal ally. 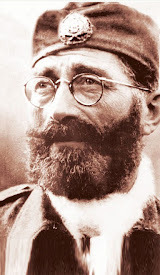 Under these circumstances establishing a mission to rescue the American airmen now being kept safe in Chetnik territory under Mihailovich’s command created a real dilemma for those in charge. The irony was not lost on the young Americans of the OSS team who had volunteered to parachute into Serbia behind enemy lines and evacuate the airmen. 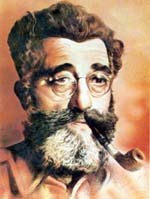 “If we Allied agents went in and rescued the airmen,” said Jibilian, “how could Mihailovich be called a collaborator? The British were vehemently opposed to anyone going into Chetnik territory on any pretext, as were the Russians. As a result of these ‘political concerns’ our mission was delayed and/or aborted a dozen times. We were originally to go in on July 3, but it was not until August 2, 1944, that we finally parachuted into Pranjani, Serbia. Captain Musulin asked for an American pilot, an American plane and an American jumpmaster, the morning of August 2. We were in Yugo that night. Because there were so many airmen, the decision was made to evacuate them during daylight. A German garrison stood only 20 miles away in Chachak. When a suitable stretch of ground was found in the area to fashion a landing strip, the Americans, the Chetniks, and the Serbian farmers all worked together to make it happen. One week later, on August 9 and 10, 1944, the first evacuations were successfully completed, without a single American casualty. It was far from over, however. Arthur Jibilian would quickly learn just what kind of ally General Mihailovich was. The "Ranger Mission", an extension of Halyard, would follow. Finally, on December 27, 1944, with Captain Nick Lalich and Jibilian having remained as the sole agents of the rescue mission in Mihailovich territory, the evacuations came to an end. The Radioman was going home. The first stop would be Italy. “Having spent two months with the forces of Marshal Tito, and six months with Mihailovich, the contrast was amazing. The Partisans shadowed us, never leaving us alone with the villagers. They were always tense, and villagers were ill at ease in their presence. Once, when we were alone with a family, we were asked: ‘Why are the Allies backing Tito?’ I had been told to simply say: ‘Only God knows’. Being deeply religious, they accepted our answer. At that moment, Jibilian felt compelled to do whatever he could to stop the inevitable from happening. “Knowing that Mihailovich felt abandoned by the Allies, I decided to tell the story of the Halyard Mission to the Washington Post. I saw the editor and told him my story and how Mihailovich had saved 513 American airmen. 1. Let the rescued airmen testify at his trial in Belgrade. 3. Move the trial to a neutral country so that Mihailovich would get a fair trial. Even though we knew Mihailovich was doomed, we felt that if we could at least see him and let him know that we hadn’t forgotten him, he would die more peacefully. 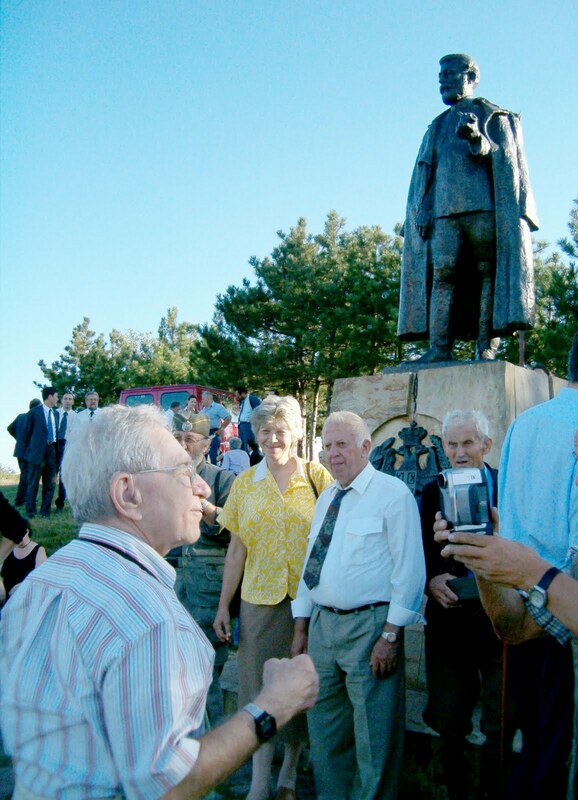 Serbia came a little bit closer to the truth that fine September day in 2004, and an American radioman discovered that nothing would ever erase his memories of a people and nation that had been part of his great journey through life. 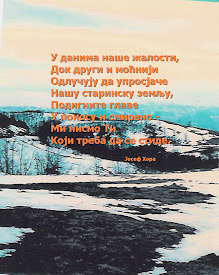 The Serbian people had not changed. He found them as he had left them. “To say that it was a great, marvelous, wonderful, ‘trip of a lifetime’ would still not do justice to the privilege of going back to Serbia. It was a dream come true for me. As usual, the Serbs treated us as though we were kings and queens. We were given a young lady, Jelena Predojovic, and a young man, IIia Jatrayav, as escorts who saw to it that our every need was taken care of. We cannot speak highly enough of their care and consideration during our stay. George Vujnovich and Robert Wilson, and his wife Sharon. Serbian youngsters welcome the Americans, September 2004. 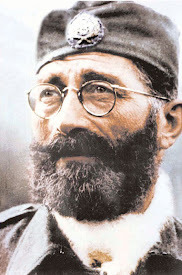 Arthur Jibilian is served with the traditional Serbian "Zito"
On that same visit to Serbia, Arthur Jibilian would also make it to the hills of Ravna Gora, walking the same ground where the Mihailovich resistance to the occupying Nazi forces first began in May of 1941. This is the story of a radioman’s return to the place where he had participated in the ‘mission of a lifetime’ that had saved lives. You would think that this return to Serbia would have been more than enough to pay back the debt of gratitude that Arthur Jibilian had carried in his heart for over half a century. But, as it turned out, this was just the beginning of things to come for the Radioman. What would come to fruition in the years that followed this visit to Serbia in 2004 would go far beyond anything Arthur Jibilian could ever have conceived of. on Ravna Gora in Serbia. All photos were courtesy of Arthur Jibilian.